The Kingdom of Jordan. 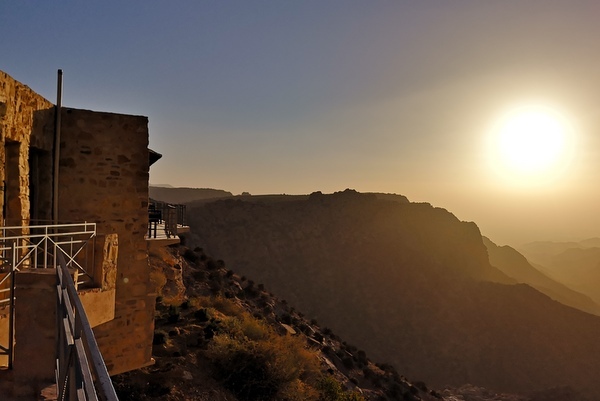 Being one of the most seductive places in the Middle East, Jordan is thought to be one of the wonders of the world. Spend eight wonderful days discovering its hidden secrets, traversing gorgeous picturesque desert environments, immersing yourself in a culture which is steeped in both the ancient as well as the modern. 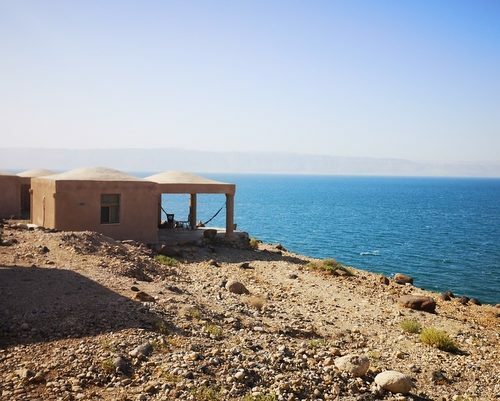 Discover the breathtaking views of the Dead Sea, spectacular mountains and wadis, the Nabataean stone city of Petra, pristine desert sands and above all enjoy the hospitality and local cuisine. Arrival at Aqaba airport, our representative will be awaiting you to help you with the visa procedures, and then walk with you through the customs. Your driver will be waiting at the arrival hall, holding a name sign and he will transfer you to the 4* City Tower Hotel in Aqaba for overnight stay. 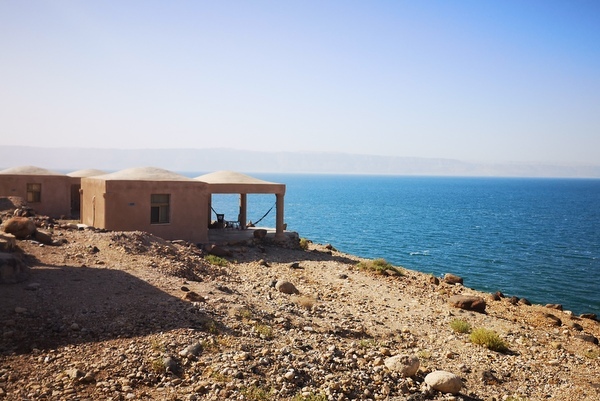 Check out of your hotel and drive via the Wadi Araba desert to the Dead Sea, lowest point on the earth’s surface. Enjoy day at the Mujib Chalets, the accommodation is quite simple but the location is pretty special. Float in the salty waters and try out the famous healing mud. 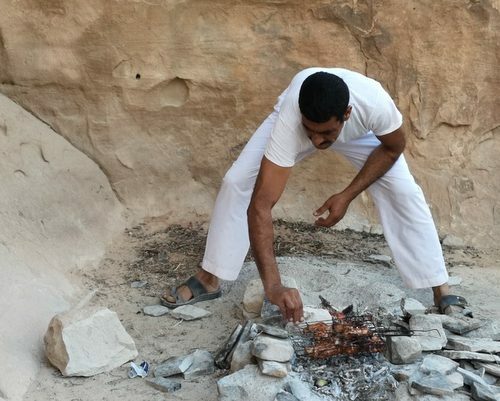 Overnight at the Wadi Mujib Chalets, dinner included. After breakfast drive to Wadi Mujib visitor centre (you can also walk as it is only 10mins away from your accommodation). Today you will experience the Siq Trail hike (self- guided). 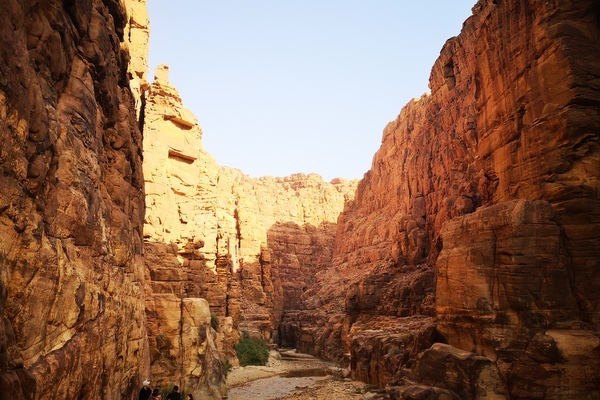 This is an easy hike into the main gorge of the Mujib River (the Siq). It starts at the visitor centre near the Mujib Bridge, from where you take the cantilevered walkway over the dam and follow the course of the river between towering sandstone cliffs to the base of a large waterfall. Depending on seasonal rainfall levels, the gorge may contain pools deep enough for swimming. It’s an ideal walk to take slowly and enjoy the cool water and shade, especially in the heat of the summer. Despite being relatively easy, it does have hidden risks. The river bed changes after each winter flood and this can create deep pools and strong currents. Always take care along the walk, avoid pools and rapids and respect any rope barriers. After breakfast drive to Karak to visit the capital of the biblical kingdom of Moab. Perched atop a steep hill Kerak is a predominantly Christian town dominated by the largest and best preserved of the Crusader castles in the region. Continue to Dana Nature Reserve. Dana Biosphere Reserve, is an area of staggering beauty, history, and biodiversity. Dana is a melting pot of species from three continents: Europe, Africa and Asia. Such a combination of natural communities in a single area is unique in Jordan. So far, a total of 894 plant species and 449 animal species have been recorded in the Reserve, of which 25 are known to be endangered. Make sure to stop at a supermarket to buy some extra snacks and drinks for your stay in Dana and Wadi Feynan. Upon arrival you start to hike the self- guided Village Tour in Dana Nature Reserve. This is a round trip that takes around 2 hours. Visit some spectacular viewpoints above Dana Village, while exploring the terraced gardens and local community craft workshops. Visitors can meet the local residents, see original Ottoman architecture, and learn more about Dana’s rich history. 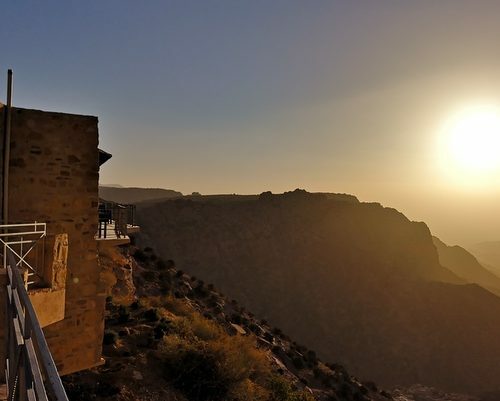 Dinner and overnight at the Dana Guesthouse, beautifully styled building merges elements of village vernacular architecture with more modern elements, creating a structure with a definable Arabic character, unlike any other in Jordan, offering breathtaking views of the reserve. After breakfast you will be transferred to Petra. 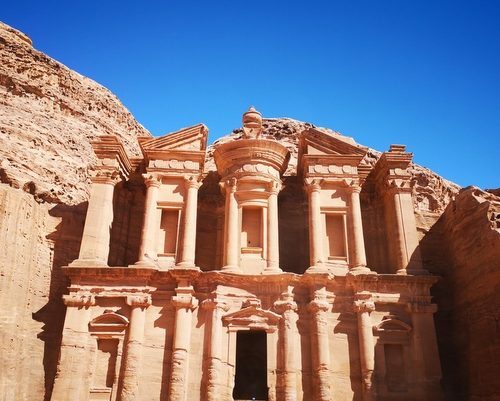 You will enjoy a full day in Petra, one of the seven world wonders. Entry by Siq and visit the Treasury, Street of Facades, Theater, Colonnaded Street etc. after lunch inside Petra you will still have time to visit the Monastery and/or the High Place of Sacrifice today. It is a lot of climbing but definitely worth the views! Overnight 5* Hayat Zaman Rosort. 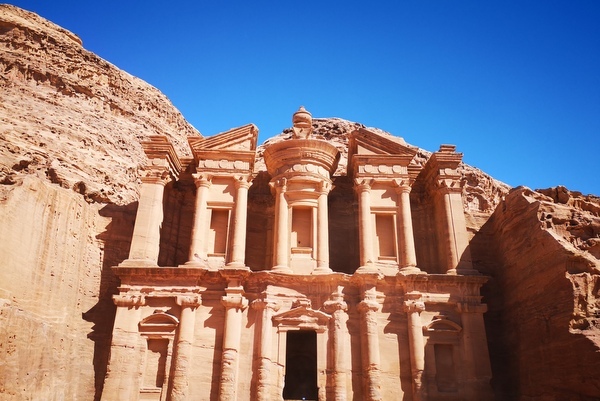 Second day to explore Petra, today you may want to hike from Little Petra to the main entrance, its a long walk but you escape the crowds and the views are stunning. Overnight 5* Hayat Zaman Rosort. After breakfast drive to Wadi Rum Visitors Centre. 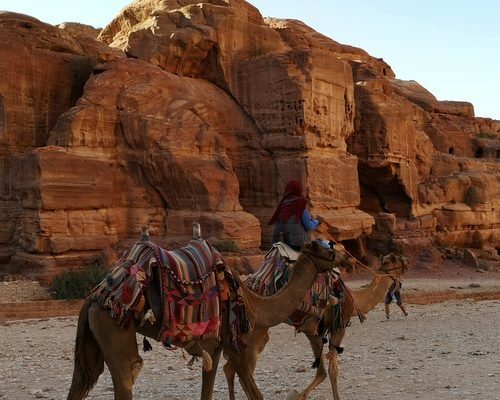 Before starting with the jeep tour you can enjoy an hour camel ride from Wadi Rum Village to Lawrence’s Spring. A jeep tour is the best way to discover lots of sites in Wadi Rum. The jeep will stop at each site giving you time to walk/scramble around and maybe even climb up on some of the beautiful natural formed bridges in Wadi Rum. Enjoy a freshly prepared barbeque lunch and embrace the stunning setting. After the tour drive to Aqaba . 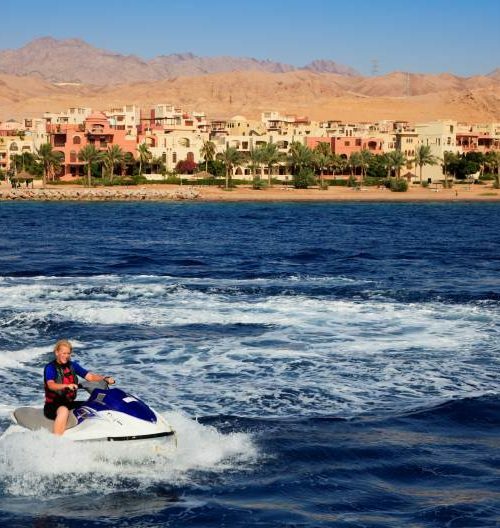 Relax at the beach, discover the town of Aqaba or book a snorkeling cruise including lunch! Overnight at 5* Movenpick Hotel in Aqaba. Transfer to the airport for departure. You would need to leave the hotel 3 hours in advance (2 hours for the check in and less than 1 hour drive from Aqaba to Aqaba Airport). 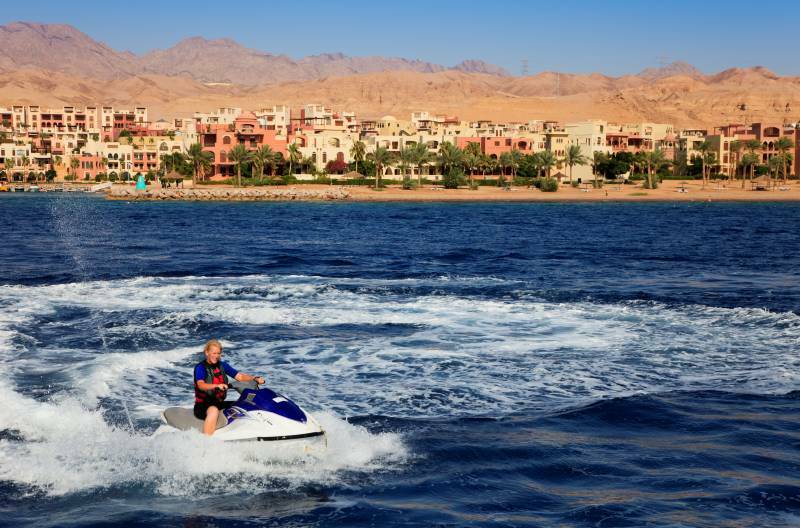 Day 1: 1 Night at the 4* City Tower Hotel in Aqaba, including bed and breakfast. Day 2 & 3: 2 nights at the Mujib Chalets, including dinner and breakfast. 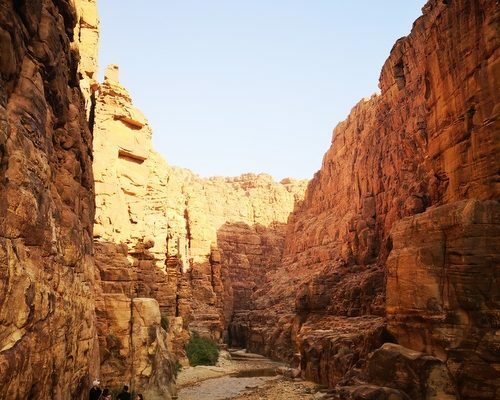 Day 3: Self Guided- Siq Trail in Wadi Mujib. Day 4: Visits to the Karak; entry fee tickets included. Day 4: Self-guided 2 hrs village tours in Dana Nature reserve. Day 5 & 6: Visit to Petra including two days entry fee tickets. 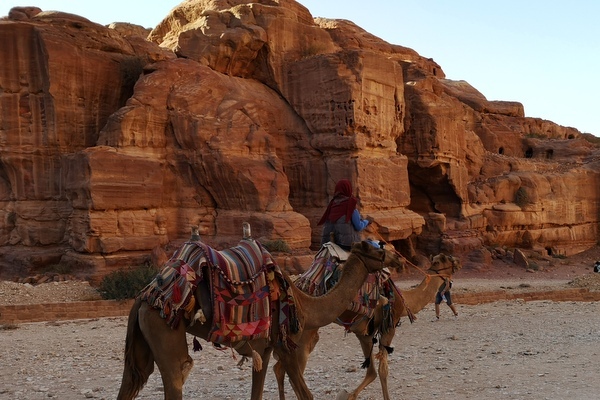 Day 5 & 6: 2 Nights at the 5*Hayat Zaman Hotel in Petra, including bed and breakfast. Day 7: Entry fee tickets for Wadi Rum are included. 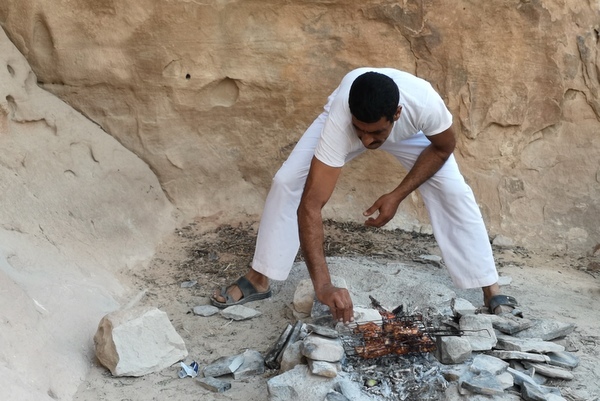 Day 7: Half day (3-4 hrs) jeep tour inside Wadi Rum including a freshly prepared lunch. 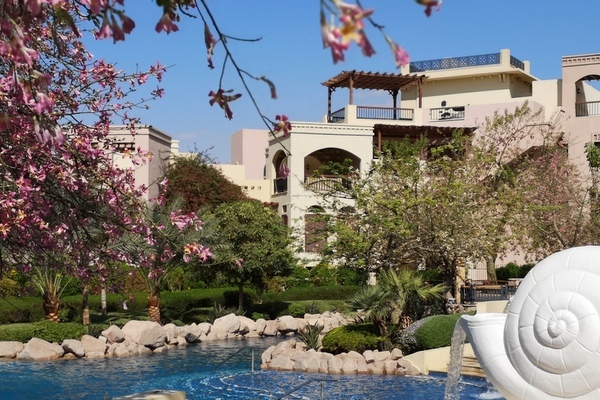 Day 7: 1 Night at the 5* Movenpick City Centre Hotel in Aqaba, including breakfast. Day 8: Departure to Aqaba International Airport.